Another Unarmed Man Killed by Police, After, You Guessed it, "Reaching for his Waistband"
Bakersfield, CA– In a tale we have heard repeated far too many times, 22-year-old Ramiro James Villegas, who went by the name James De La Rosa, was killed by jumpy police in Bakersfield after allegedly “reaching for his waistband” on November 13. Just like Dillon Taylor who was executed in August by Salt Lake City Police, Villegas was unarmed. Villegas had just crashed his car after a high speed chase when three officers opened fire and a fourth engaged a Taser. “The cop got out and just shot him in the head like three times,” one witness, 23 year old Salvador Gonzalez, told the Bakersfield Californian. Gonzalez explained that Villegas had gotten out of the car with his hands outward, but downward from his sides after the crash. He stated that Villegas appeared to be unarmed, which he was. Other witnesses claim he had put his hands up, something the officers deny. The department of course tells a different story, claiming he had moved towards them aggressively and reached for his waistband. A likely story we have heard a thousand times before. 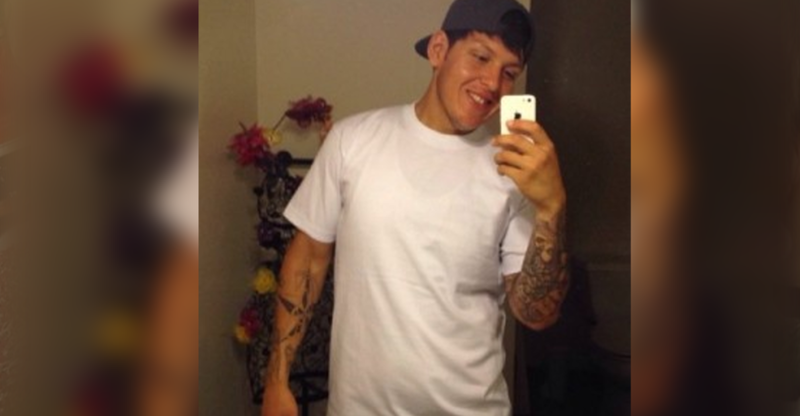 Why are all these unarmed men always allegedly “reaching for their waistbands”? This young man was by all accounts a good person- who took in stray dogs, loved the dodgers, and had never been in trouble with the law. He was living with his mother to insure that she made it to her doctor’s appointments, his sister told the Californian. She also was very clear he had nothing in his hands, not even a cellphone, to give the officers the impression that he was armed. Hundreds have gathered since his death for protests and vigils, many using the “Hands Up” phrase which began with Mike Brown in Ferguson, but has grown to be a battle cry against all of the death, brutality, and corruption at the hands of police everywhere. All four officers are currently on paid vacations.